A beautiful waxy red-dark pink flowering large shrub. 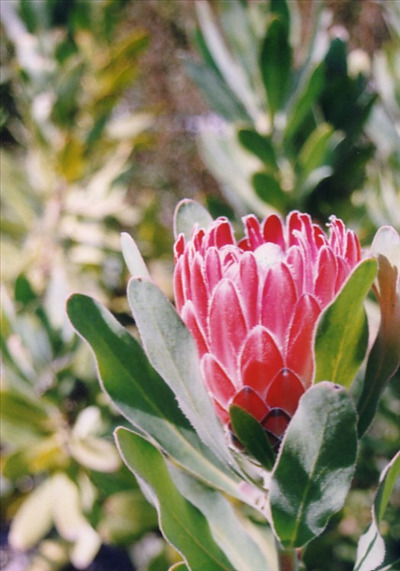 Its parents are Protea obtusifolia x Protea compacta. It flowers autumn through to spring and while the shrub is fairly hardy to low 20F's, heavy frost will damage the buds. It is a long lived and hardy shrub. Excellent cut flower, screen and hedge. Prune when young to maintain lower branching and shape.